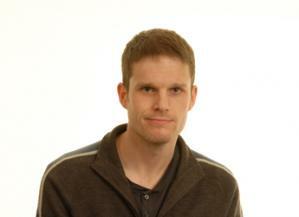 Jonathan is a geographer working within the SEGS group at the James Hutton Institute. Jonathan's undergraduate and postgraduate background is in physical geography, including risk perception and responses to flash flooding. Since joining the James Hutton Institute in 2013, most of Jonathan's work has been in the subject areas of social and economic development, and farm changes and diversification. He has also contributed to research on natural flood risk management, using interviews and survey analysis, and has been involved in spatial and quantitative analysis for a range of other projects. Jonathan is currently contributing to work within the RESAS Strategic Research Programme (2016-2021), including research projects on demographic change in remote areas, place-based policy and implications for policy and service delivery, and changes taking place on Scotland's farms.This work has included analysis related to Scotland's sparsely populated areas, and developing small area indicators of wellbeing. He has also worked on several projects for other funders: some outputs from these are included below. Hopkins, J.; Copus, A.; Wilson, R.; Atterton, J. (2019) What is place-based rural policy and what evidence base does it need? research and knowledge exchange activities., Report for RESAS RD 3.4.2. Place-based Policy and Rural Scotland, Objective 5.1., December 2018 (and updated February 2019), 17pp. Hopkins, J.; Copus, A. (2018) The Scottish Sparsely Populated Area (SPA): Agricultural and key rural industry trends., Report for RESAS RD3.4.1: Demographic Change in Remote Areas, Working Paper No. 5 (Objective O2.2ii), Version 3, October 2018, 48pp. Hopkins, J.; Copus, A. (2018) Identifying suitable measures of socio-economic outcomes and mapping geographical disparities in Scotland., Report for Strategic Research Programme, 3.4.2: Place-based Policy and Rural Scotland, 78pp. Hopkins, J.; Copus, A. (2018) Definitions, measurement approaches and typologies of rural areas and small towns: a review., Strategic Research Programme Project. RD3.4.2: Place-Based Policy and Rural Scotland, Online report, 39pp. McKee, A.J. ; Sutherland, L.; Hopkins, J.; Flanigan, S.; Rickett, A. (2018) Increasing the availability of farmland for new entrants to agriculture in Scotland., Final Report to the Scottish Land Commission, 76pp. Shortall, S.; Sutherland, L-A. ; McKee, A.; Hopkins, J. (2017) Women in farming and the agriculture sector., Final Report for the Environment and Forestry Directorate, Rural and Environment Science and Analytical Services (RESAS) Division, Scottish Government, 9 June 2017, 184pp. Hopkins, J.; Copus, A. (2017) Exploring online mapping applications for socio-economic data: their use and impact., Report from Workshop, COSLA Conference Centre, Edinburgh, 3 October 2016, 13pp. Hopkins, J.; Copus, A. (2017) Producing recommendations on methods and indicators for assessing the "greener" strategic objective at data zone level., Report from Mini Workshops, 33p. Copus, A.; Hopkins, J. (2017) Mapping Rural Socio-Economic Performance (SEP)., Report for Rural Communities Team, Food, Drink and Rural Communities Division, The Scottish Government, May 2015. Executive Summary, 4pp. Hopkins, J.; Warburton, J. (2015) Local perception of infrequent, extreme upland flash flooding: prisoners of experience?, Disasters, 39, 546-569. Slee, B.; Hopkins, J.; Vellinga, N. (2015) Could the creative class be a factor in Scottish rural development?, Scottish Affairs, 24, 207-226. Slee, B.; Hopkins, J.; Copus, A. (2014) Rural Perth and Kinross area profile for the LEADER local development strategy (2014-2020)., Report for Rural Perth and Kinross LEADER Programme. Stutter, M.I. ; Allan, R.; Cuthbert, A.; Newman G.; Hopkins, J. (2013) Research into the Innovation assets available to the water and waste water sector in Scotland., Report to Scottish Enterprise.